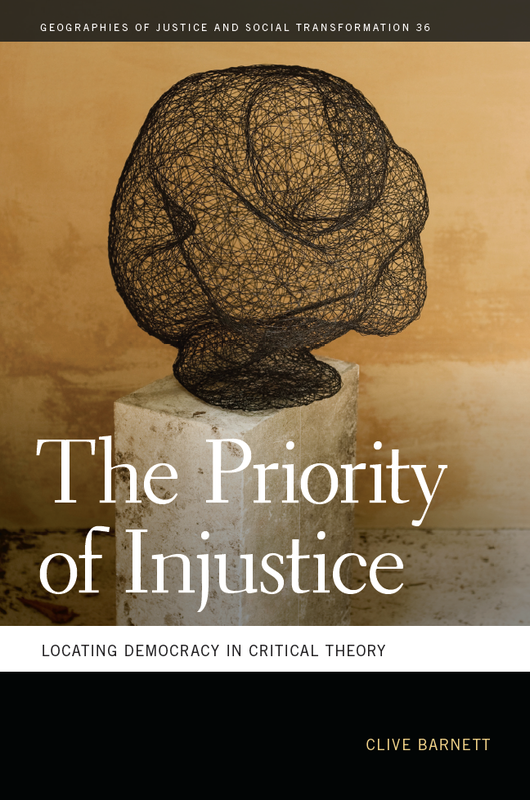 So, here is the back-cover blurb for The Priority of Injustice, from the new Winter catalogue from the University of Georgia Press. The book is not published yet, I am sitting here with the proofs at my feet, waiting for an index to be delivered before sending it all back to the publisher one last time (no-one else might read this book, but it seems to be all I’ve been reading for the last two years). “This original and ambitious work looks anew at a series of intellectual debates about the meaning of democracy. Clive Barnett engages with key thinkers in various traditions of democratic theory and demonstrates the importance of a geographical imagination in interpreting contemporary political change.